← Takeaways from the citywide emergency communications drill? Forgive us for the pun…and stop by to see us at the 3rd annual West Seattle Bee Festival at High Point Commons Park (6400 Sylvan Way SW, Seattle, WA 98126). We’ll be among the community groups participating in the Information Fair this coming Saturday, May 16th. The Information Fair runs between 11:30 AM and 2 PM. The West Seattle Bee Festival starts at 9 AM with the Honey Run, and there are other fun and educational activities — for adults as well as kids — that follow. This is a great opportunity to learn more about the West Seattle Bee Garden. Between noon and 2 PM, they offer free tours of the bee enclosure! We’ve included the West Seattle Bee Festival informational flyer with additional details below. 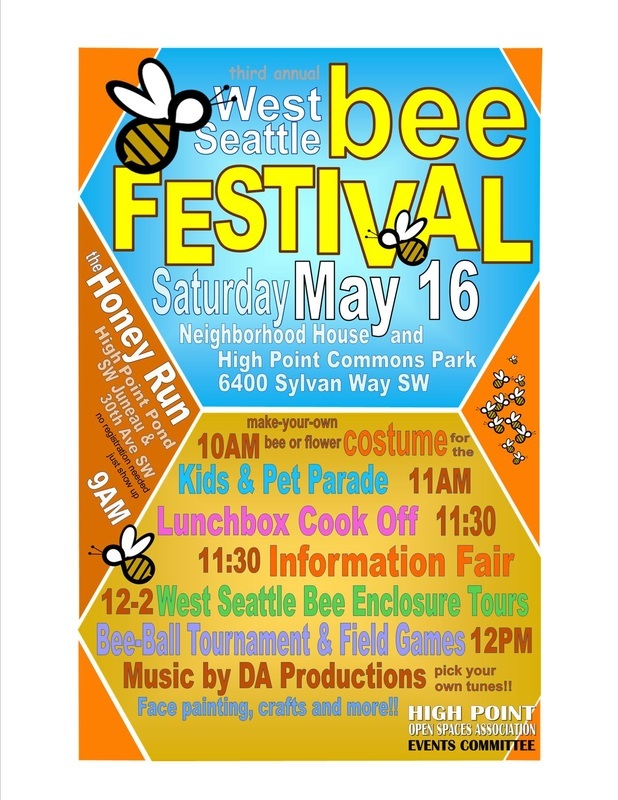 Join us for the 3rd Annual Bee Festival in West Seattle’s High Point neighborhood! We hope you’ll stop by “make a beeline” to our booth to learn more, pick up informational materials and hub maps, find out how you can get involved, ask questions or just say hi! FYI, you can also find and like the West Seattle Bee Garden on Facebook. Added 5/23/15: Here is some video from King5 TV taken during the Bee Festival this year. This entry was posted in Announcements, Events, Outreach events & festivals, West Seattle Be Prepared and tagged disaster preparedness, earthquake preparedness, West Seattle Bee Festival 2015, West Seattle Bee Garden Festival 2015, West Seattle emergency preparedness. Bookmark the permalink.